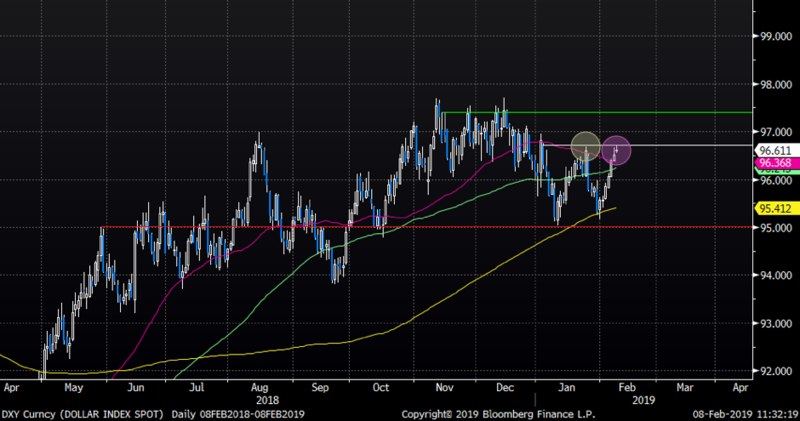 Gold to Continue Higher as the USD Pauses? We are seeing a relatively boring Friday session so far today. The USD has been moving higher over past sessions but the DXY index is approaching short term resistance here. After the index bounced on the 200-day average, it is now trading right at the mid-January highs. In our view the USD is rather stuck in a range. Nothing to get really excited about, but should the DXY take a breather here, gold could be reigniting the trajectory higher again. 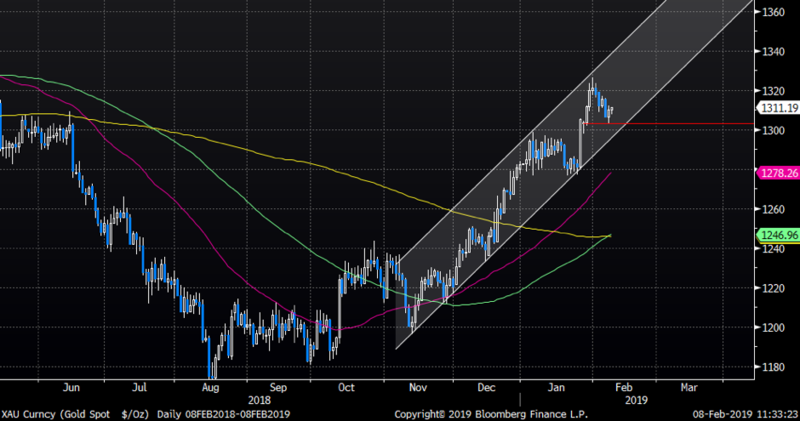 Gold continues trading within the “perfect” trend channel since November lows. The trend is strong and momentum fine. For a meaningful break out we need gold to close above recent highs around the 1325 level. As we have been mentioning, gold and fear index VIX have been moving in tandem over past months. 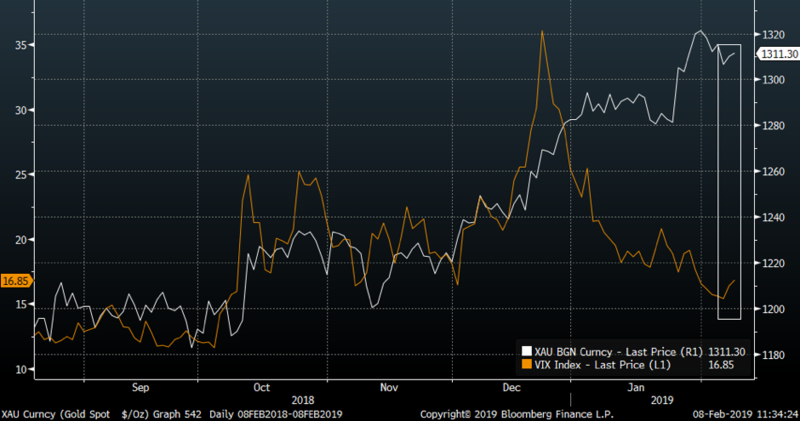 The relationship can’t hold long term for mathematical reasons as vol is mean reverting, but note how the vol spike yesterday gave gold a nice push higher, although we still prefer long vol to long gold for the “fear” hedge.